bonefish writes "I'm proud to announce that, at last, the package management branch has been merged into the main development line, aka master branch. The builds and nightly images from hrev46113 on will include the new feature." 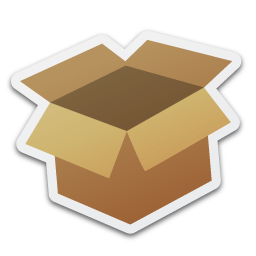 "So, what happened in package management land since my last post? As planned we finished building the standard packages for the missing (and actually working) architectures (x86 gcc 4 and x86-64). Oliver put quite a bit of work into fixing and improving the haikuporter bootstrap process. While it was basically working at the time of my previous article, it needed a bit of nudging and some creative work-arounds to go the full distance. Now it should be possible to build all packages with a single haikuporter invocation." Here's the latest screenshot of HDU. Just added the ability to set the Time and Deskbar settings along with some new wallpapers, new home directories and the ability to install Lazarus. If I can shake this sickness, I should be able to do a little more this weekend.